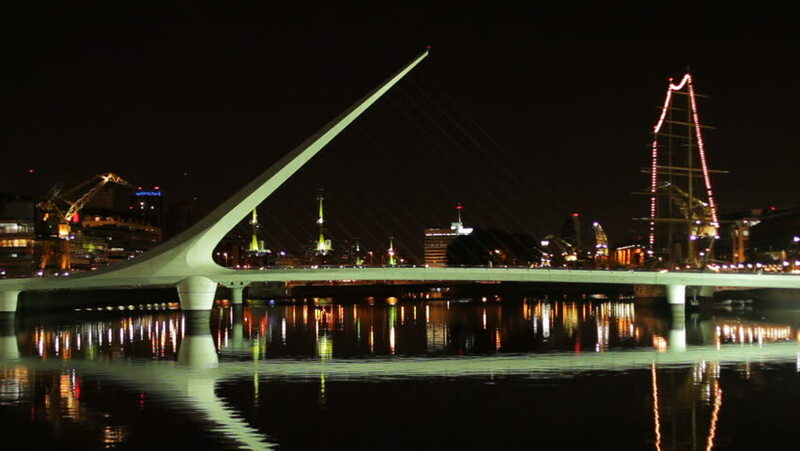 Puente de la Mujer (Woman Bridge), a modern footbridge and landmark of Buenos Aires, Argentina, at night (1080p, C. 7D). hd00:28Ting Kau Bridge is a 1,177-metre long cable-stayed bridge in Hong Kong that spans from the northwest of Tsing Yi Island and Tuen Mun Road. 4k00:27DUBAI, UAE - JANUARY 2017: night illumination water canal downtown reflection panorama 4k circa january 2017 dubai, united arab emirates.